The evening will be concluded by a fire Capoeira roda in which guests will play their most expressive and beautiful games. This capoeira circle will be open to all to play in. A night of concentration, respect and thankfulness! 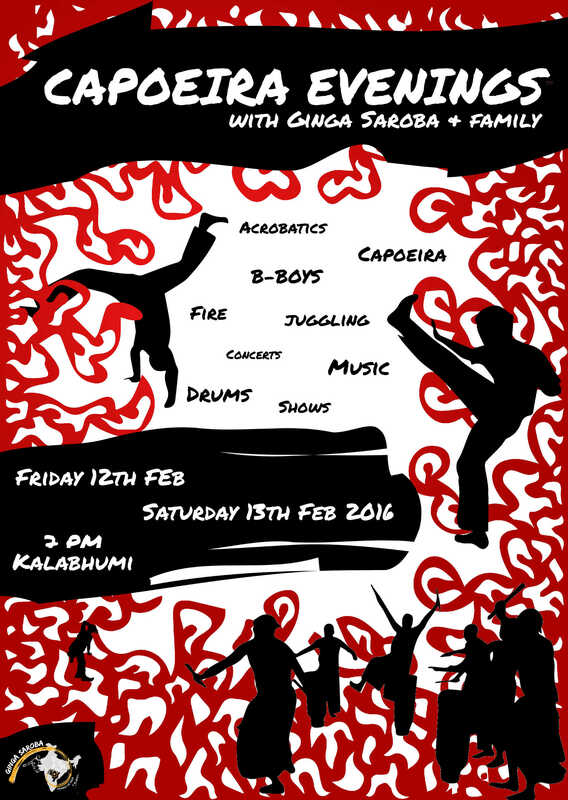 We will welcome our friends from the Auroville Fire Spinning crew who will charm us with their fire dance and games. We are honored to also receive the Power Pandian Aasan Silambam Team, who recently won the 3rd Asian Silambam Championship, coming especially from Chennai to demonstrate their art. The evening will end at the light of candles to which the students of the Ginga Saroba group will play Capoeira with the guests teachers as an acknowledgment of their learning and dedication to our art. Thanks to all of you supporting the event and the group, these two evenings are dedicated to you!